If you are interested in anything and everything to do with Digital Identity, then chances are you attended both of our ‘Think Digital Identity For Government’ events this year, with the last closing its doors on a highly-highly-successful day on the 29th of last month. There will be another Think Digital Identity For Government – and we already have a date for your diary, Friday, June 7th, 2019. Responding to community demand, the organisation behind Think Digital Identity For Government, Think Digital Partners, has confirmed the next event is already scheduled, and opportunities for commercial partnership, exhibition, and speaker participation has officially commenced. “We were extremely pleased by the positive reaction to Think Digital Identity For Government in November,” stated Think Digital Partners’ Director, Matt Stanley. 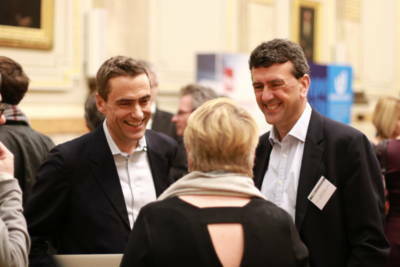 “Sponsors were pleased, which is always our aim, but just as importantly delegates have come back with very high marks for the content of the event and the opportunity they had on the day to network and gather significant intelligence on the fast-evolving shape of the UK Digital ID experience – and beyond. Think Digital Partners has also confirmed the event will take place once again at delegate favourite, Westminster’s One Great George St.
We will have an updated website with preliminary details for Think Digital Identity For Government 2019 soon, but in the meantime please feel free to contact Matt to find out more at matt.stanley@thinkdigitalpartners.com – and if you are super-organised, please don’t hesitate and lock in your place NOW by going to our Eventbrite link for Think Digital Identity For Government on June 7th 2019 here. We’ll have more news on this and other exciting Think Digital Partners events soon – and we thanks you for your great support for this and our other public sector IT and policy conferences and content.